Thomas Hoepker - worldwide known photographer and a member of MAGNUM Photos - introduces his series of black-and-white pictures, which was created 1963 as a photo-reportage for the Kristall periodical. The black-and-white photos portray life in the USA in the mid Sixties and thematize the issues that influenced the country at the time. There is a particular focus on political events such as Kennedy‘s assassination, racial discrimination and the resurgence of patriotism. 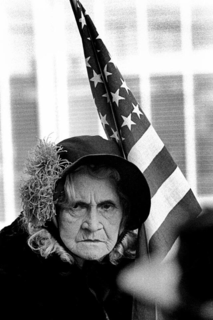 In expressive portraits, outstanding snapshots and sometimes extremely bizarre scenarios, Hoepker has succeeded in painting a picture of America in all its facets. 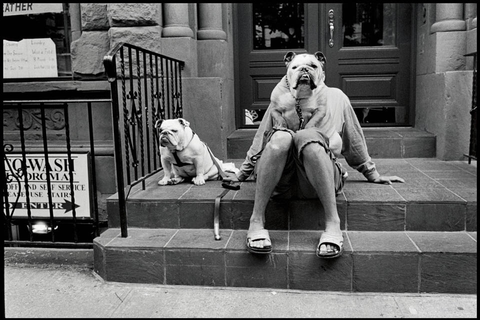 For the international network of Leica galleries, the renowned American photographer Elliott Erwitt, a member of the prestigious MAGNUM Photos agency, has assembled an exclusive set of his key works. This selection was first presented to the public as part of the photokina 2012 trade fair in Cologne. The exhibition has come to Prague from the Leica Gallery Salzburg. Miloň Novotný (1930–1992), a pioneer of twentieth-century Czech humanist photography, is today a classic. He is of the generation influenced by the legendary ‘Family of Man’ exhibition organized by Edward Steichen. He photographed only in black and white, worked on principal with a Leica, and was a photographer-poet of everyday life, with an extraordinary ability to perceive the profound humanity in seemingly banal scenes.